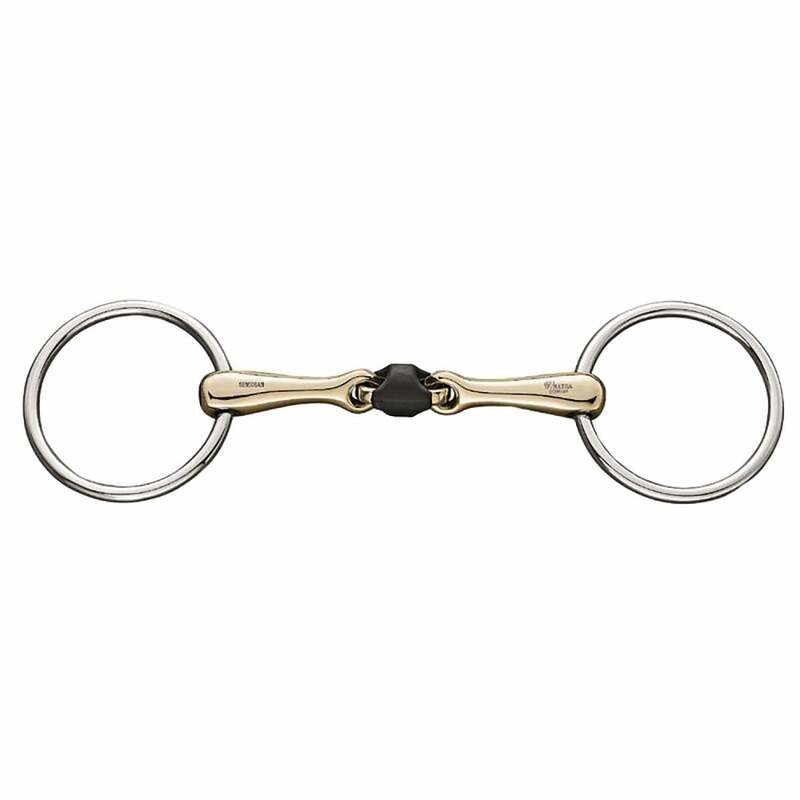 This Sprenger Sensogan WH Ultra Soft 16mm Snaffle has a central lozenge covered in soft, durable rubber so the rein aids can be extremely soft. The WH Ultra Soft Snaffle is a great way to introduce young horses to the bit and for older horses who may be 'bit-shy'. This snaffle is an approved variation of the KK Ultra bit design in which the aids given with the reins are carefully directed to the horses tongue. The rubber covered central section can also help to avoid bad habits like teeth grinding through its relaxing effect on the horse. The WH Ultra Soft Snaffle mouthpiece is made from Sensogan® a material developed from research by Sprenger to improve their original Aurigan metal. Sensogan® is made up from combination of Copper, Zinc and Manganese that has been proven to be highly compatible and exceptionally well tolerated.